I have added a 10 fps burst example of flying eagles (a juvenile chasing an adult with a fish) to the Canon EOS 7D Mark II Review. The wing positioning shown in this series of images will assure you that 10 fps is definitely not too fast and at times, I needed a frame between the neighboring frames – such as at the moment the eagles grabbed a fish in the water. While the Canon EOS 7D Mark II is without a doubt an awesome bird photography camera, the Canon EF-S 24mm f/2.8 STM Lens is near the bottom of my bird photography lens list. Don't take me wrong – the 24 STM is a great little lens (a great bargain), but making a bird large enough in the 24mm frame to be relevant requires a very short subject distance or a short subject distance and a very large bird. I was outside giving the 24 STM lens a workout prior to wrapping up its review. We had a light snow followed by freezing rain overnight and warming air temps created a dense fog. Dense fog means low contrast which means evaluating lens image quality performance is compromised. But, these conditions can make for moody images and I was searching for something interesting. After exploring the yard and surroundings, I came to like this lightly snow-and-ice-covered spruce tree best. I honed in on the set of branches shown in this image, working on placing the lines of branches and needles into an interesting composition. Still, I was looking at an only average image. It needed something. Then my daughter walked out of the house announcing "I have a cardinal!" The unfortunate bird had made a navigational error and impacted a window of the house. Brittany had rescued the bird from the shrubbery. In this part of the world, at this time of the year, no other bird is as beautifully colored as the cardinal and perhaps no other subject can make a snowy image pop more perfectly than a cardinal. As the bird gathered its wits, I placed it on the ideal branch in my composition and captured some images of it – from any distance I desired. I knew that I wanted the cardinal large in the frame. Large in the 24mm frame meant moving in close, which also helped reduce the amount of background showing in the modestly-wide 24mm angle of view (on an APS-C/1.6x DSLR). Being close enough to the bird for the ideal large-in-the-frame composition meant that I had to be very careful to not make one part of the bird (such as the wing) look unusually large in relation to the rest of the bird (perspective distortion). A slightly forward-of-the-bird position seemed to work the best and the spruce branches provide leading lines to draw a viewer's eye to the bird (in case the color contrast was not enough). 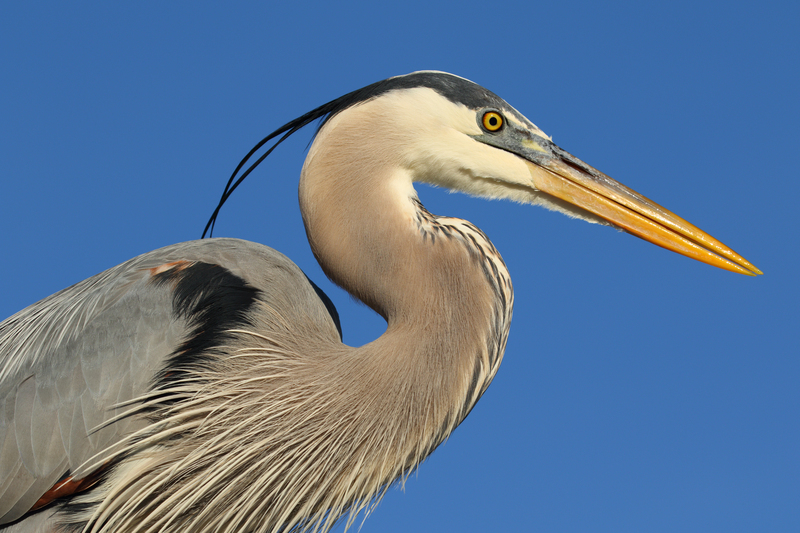 The bird was not completely still and capturing the right head position (looking slightly toward the camera) required good timing. To have this ideal subject show up and cooperate for a few minutes at this exact time was divine. The cardinal flew away, apparently unharmed, not long after this picture was captured. If you can script the action, the odds of getting a great action photo increase dramatically. If you can repeat the script, those odds skyrocket far higher. And, being able to pick the time of day for the shoot is golden. For this galloping horse shoot, I had full control. But even with full control, you still need to know how to get the shot. I often test camera and lens AF performance using a rider on a galloping horse. This is a challenging subject that I am familiar with, allowing me to best appreciate a camera and lens' capabilities. I often share sample pictures from these shoots and thought you might appreciate the "How To" behind these shots. To dive right in, let's select a lens. Tracking a fast-moving subject requires a fast, responsive-focusing lens. I prefer longer focal length lenses with an effective 400-500mm angle of view being ideal for my situation. A narrow angle of view allows me to isolate the horse and rider against a relatively small area of strongly blurred background. The longer focal lengths keep the horse and rider in the framing sweet spot for a longer duration. There are many lenses capable of tracking this action, but the Canon L telephoto lenses are generally my preference. When testing a camera, the Canon EF 300mm f/2.8L IS II USM Lens and Canon EF 400mm f/2.8L IS II USM Lens are usually my first choices. I completely trust these lenses to perform amazingly in all regards and their narrow depth of field at wide open apertures shows me exactly where AF placed the plane of sharp focus. If the lens has IS mode 3, that is the mode I use. Otherwise, I turn off image stabilization. The camera itself is of course an important component in stopping a galloping horse. If you have only one, that is the camera to use. If you have a choice ... the faster and more accurately a camera auto focuses on a fast-moving subject, the more likely it will be able to keep the horse's rider in focus and the faster that camera's frame rate is, the more likely you are going to capture the ideal horse position. 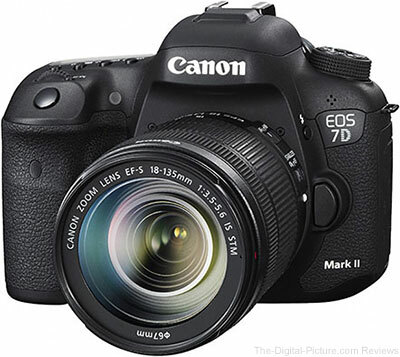 The Canon EOS-1D X and Canon EOS 7D Mark II (used for the included image) are my top 2 choices. Since you know that the subject will be in motion, use the camera's AI Servo AF mode. In this mode, the camera will predict where the subject will be at the precise moment the shutter opens. I also recommend using the fastest frame rate burst mode your camera offers. Some people refer to this mode as "Spray and Pray", but ... just because you can create a catchy saying that has negative implications does not mean that the implications are right. The fastest frame rates available today have a purpose and that purpose includes allowing the photographer to concentrate on framing the action while capturing a large variety of subject position(s) to later choose from. The faster the frame rate, the more likely the ultimate subject position will be included in the results (be sure to use a fast, high capacity memory card). You can alternatively release the shutter when you think the subject will be in perfect position, but ... know that horses can move very fast. This American quarter horse was approaching at an estimated 35-40 mph (56-64 kph). Good luck timing even a short shutter lag with all four hooves off of the ground. For the galloping horse photos, I always use manual exposure mode. I select the widest aperture my lens has available, which is most often f/2.8 or f/4. The wide aperture allows more light to reach the sensor, allowing the use of faster (shorter) shutter speeds and lower ISO settings. I usually select a 1/1600 sec. shutter speed. I can get by with a modestly slower shutter speed setting, but 1/1600 practically eliminates motion-blur issues for this subject (same in most people-in-action photos). I use the ISO setting to adjust the final image brightness delivered by the selected shutter speed and aperture. If ISO 100 is not low enough (such as under bright sunlight at f/2.8), I use a faster shutter speed. If the light is rapidly changing (clouds cause this), I use an Auto ISO setting, but this is not my preference. When shooting in the late-day sun (the ideal time of day for this scene), the light level typically goes down throughout the shoot. I watch the histogram between passes and adjust settings as necessary. Because this action scenario is not unique and because I shoot action with some frequency, I have Custom Mode 1 programmed for the above parameters on all of my cameras. If I am shooting action, I simply turn the dial to Custom Mode 1 and tweak the settings as needed. I want the rider's face to be in focus as the rider is more important than the horse for my photos and an important choice to be made prior to shooting is the AF point selection. There are a lot of AF point options with some of the newest high-end camera models. As a rule, the center AF point is a camera's best-performing AF point. However, in the horse galloping situation, the center AF point tends to fall on the horse's nose. Since I choose to shoot with a shallow depth of field, focusing on the horse's nose places the rider out of focus. There is more than one AF point option that can work as I desire and I often use more than one in a shoot, though I seldom select more than a single AF point option. Placing the left-most center AF point on the rider's boot and the saddle area works well. I also like to use the top-most AF point placed on the rider's head. Because the horse and rider are going up and down very rapidly, it is difficult to keep the horse's ear from capturing the camera's focus attention when using this AF point. The latest and greatest cameras can have their AF parameters tuned and instructing the camera to not be too quick to focus on distractions can resolve this specific problem. You might find that an AF point placed low on the horse's chest places your rider adequately in sharp focus, but ... the lack of contrast in that location may challenge the camera's AF system. The horses I am primarily shooting are running on a slowly curving trail at the top of our field. As the rider is warming up the horse, I am adjusting my shooting distance to ideally frame the subjects and to align both horse and rider with the background (I also dial in my exposure during warmup). There is not a lot of foreground in my galloping horse pictures, but you can readily see the background and that is very important for the overall image. I try to select distant landscape (mostly small mountains) that is pleasing but not distracting. I prefer the high contrast line between the sky and the forest to not go through the rider's head, but above or below is good. My choice is usually to shoot from a very low position – typically squatted behind a monopod-mounted camera and lens. This low position places the rider higher into the background. When the horse and rider are warmed up and ready, it is time to go live. The rider typically lets me know that they are ready, I check the camera's electronic level to insure that I am (nearly) perfectly vertical and let the rider know that I am ready. I carefully watch for the rider to appear over the horizon. As soon as the subjects appear, I place the AF point in the desired position and begin AI Servo AF tracking by pressing the shutter release half way (pressing the rear focus button also works if the camera is so-configured). As the subject approaches the ideal framing distance, I fully press the shutter release and follow the subject until too close for usable framing. As the horse and rider trot back for another pass, I check the results just captured and make any adjustments needed. Since I am usually testing a camera or lens when shooting this rider on a galloping horse scenario, I shoot many passes. With a fast camera and many passes, I am often looking at a thousand or more images to review. Reviewing is a time consuming process and, when using a top-performing camera and lens combo, selecting down the keepers can be a huge task. While making the first pass through the images, I mark all that are out of focus for immediate deletion. If the camera, lens and I did our jobs properly, the keeper selection challenge grows considerably after the first pass. I have favorite positions for the horse, prefer to see open eyes on both the horse and the rider and also look for something unique in the image (such as a big tail swish). As you likely guessed, these instructions can be used for photographing much more than just galloping horses. While galloping horses may have some unique challenges, a significant number of in-motion subjects including many in sports action scenarios can be properly captured using this technique with or without tweaks. I'll leave you with a quick warning: Don't lose sight of safety. I described a large and potentially dangerous subject rapidly approaching the photographer who is concentrating through the viewfinder. It is easy to become consumed with capturing what is in the viewfinder and failing to get out of the way of danger. Be aware of what is happening around you. It is always best to live to try again. I generally prefer to avoid the hand-of-man in my wildlife images and when setting up at the Conowingo Dam, I positioned myself to best avoid the dam, wires and other non-natural objects in my backgrounds. But ... those man-made objects were not always avoidable and ... the Conowingo Dam is a big reason why the eagles are there in the first place. And, it is a landmark among bird photographers. It is not unusual to find half a million dollars worth of gear on the shoreline below this dam. So, I find it fitting to include the dam in the background of a bald eagle image. In this example, I like the evenly-repeating pattern of the heavily blurred dam in the background. The 7D II performed very well this day. I used the 600 L II IS lens for maximum reach and used the 1.4x III extender some of the time. The 1344mm effective angle of view proved challenging for tracking the erratically-flying eagles and I eventually removed the extender. However, some of my favorite shots of the day would not have been nearly as good without the extender in place. So, the with or without extender decision must be weighed in light of circumstances. Knowing your subject allows you to predict their behavior and to be prepared for the optimal moment. Knowing that bald eagles will frequently attack another eagle with food is one key to getting great photos of these birds. Of course, capturing the initial attack on the prey is great, but the secondary eagle against eagle attack is often at least as appealing. In this example, the eagle on the left had just caught a perch out of the Susquehanna River. The rightmost eagle had been watching and almost immediately attempted to steal the fish from the rightful owner. Knowing that an air-to-air attack was a high probability, I continued to hold the shutter down after the initial catch. The EOS 7D Mark II's fast frame rate (and deep buffer) was able to catch this ideally-timed action – the moment the opposing eagles met. In this case and in many others, neither bird ended up with the fish and the fish is seen flying through the air in subsequent frames.